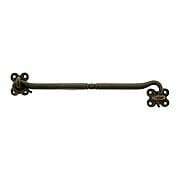 A gently rolled handle adds an artisan touch to this sturdy 22 3/4-Inch Forged Iron Cane Bolt. 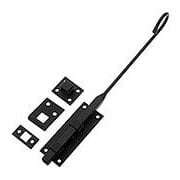 Ideal for Colonial or other rustic home styles, it comes with a smooth black finish and strike plates for three mounting options. 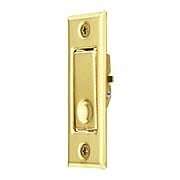 The slender looped handle adds sophistication to this sturdy iron door bolt. 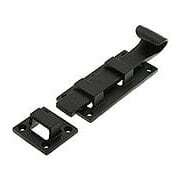 Ideal for colonial or other rustic home styles, it comes with a smooth black finish and strike plates for three mounting options. 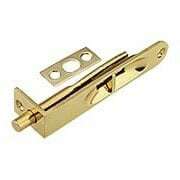 This authentic Colonial-style door bolt is hand forged, just like the 18th century originals. 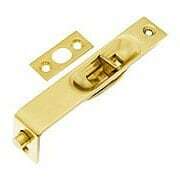 Its surface is phosphate treated then lacquered, for rust-resistant, long-lasting wear. 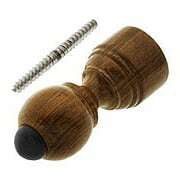 This handsome shutter bolt is strong, yet less conspicuous than larger bolts. 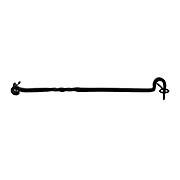 Forged from heavy duty iron, it features an artfully curled handle. Rough textured with a satin black powder coat. Spring loaded. 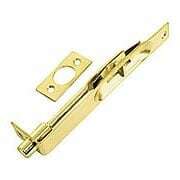 Our authentic Colonial style 5 1/2" slide bolt offers reliable holding power for your doors, gates or shutters. 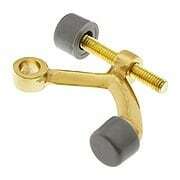 Forged from heavy duty iron 3/16" in thickness, it's finished with a rough textured powder-coat. 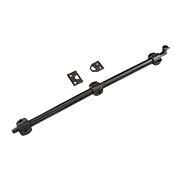 Our authentic Colonial style 6 3/8" slide bolt offers reliable holding power for your doors, gates or shutters. Forged from heavy duty iron 3/16" in thickness, it's finished with a rough textured powder-coat. 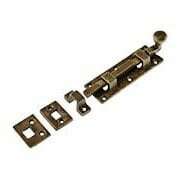 Give your shutters a romantic touch with this rustic stainless-steel shutter fastener. 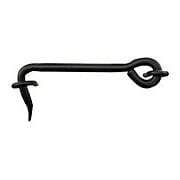 The hand forged and twisted hook is paired with large "eyes" that are hammered into place. So simple and so authentic! 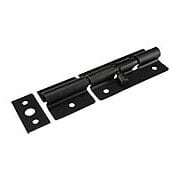 Secure your shutters against coming storms with this sturdy shutter slide bolt. 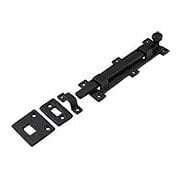 With a long catch plate and a 3 1/4" throw, it balances the fastening force across both shutters. 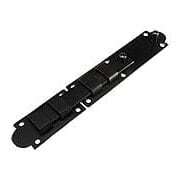 Made of galvanized steel, it features a durable black powder coated finish. 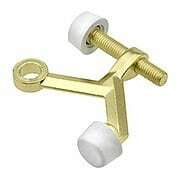 Keep your door, cabinet or gate tightly shut with this sturdy little barrel bolt. 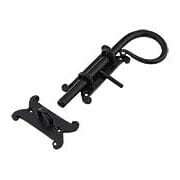 Forged from stainless steel, if features a durable black powder coated finish. Reversible for right or left handing. Geometric shapes add a bold look to our 15 1/2-Inch Cast-Iron Triangle Door and Shutter Bolt. 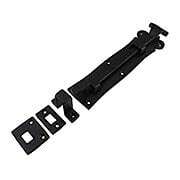 Ideal for Colonial or other rustic home styles, it has a textured surface and durable, black powder-coat finish. 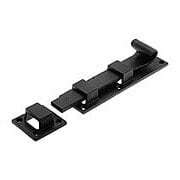 Its larger size allows it to be used on a variety of applications from gates to doors and beyond. 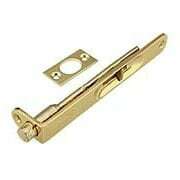 A gently rolled handle adds an artisan touch to our 5-Inch Cast-Iron Surface Door and Shutter Bolt. 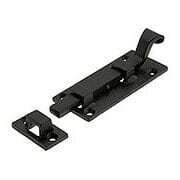 Ideal for Colonial or other rustic home styles, it has a textured surface and durable black powder-coat finish. 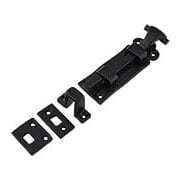 Three strike plate options allow it to be used on a variety of applications from gates and doors to cabinets. 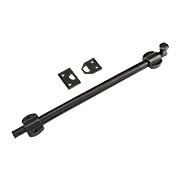 A gently rolled handle adds an artisan touch to our 10 1/2-Inch Cast-Iron Surface Door and Shutter Bolt. 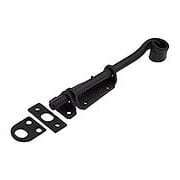 Ideal for Colonial or other rustic home styles, it has a textured surface and durable powder-coat black finish. 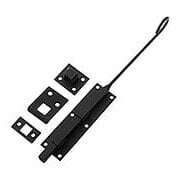 Three strike plate options allow it to be used on a variety of applications from gates to doors to cabinets. 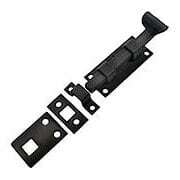 An easy-grip ball handle adds an authentic look to our 10 1/2-Inch Cast-Iron Surface Door and Shutter Bolt. 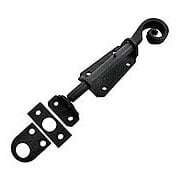 Ideal for colonial or other rustic home styles, it has a textured surface and durable black powder-coat finish. 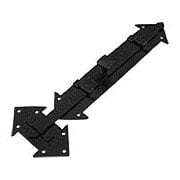 Three strike plate options allow it to be used on a variety of applications from gates and doors to cabinets.